As a keen amateur photographer, I used the luxury of a recent holiday to explore the more creative side of my photography. In recent years I've focussed on learning the science of photography, but this year I've been trying to be a bit more creative. What I've found has surprised me, so I thought this might be something worth sharing, together with my experiences of migrating towards the iPad for my image processing. A common theme in my discoveries has been that of breaking what I had previously thought of as rules. I quite like breaking rules - it's much more fun than following them! So, this post is organised around the rules I've been trying to break. I'm a keen amateur photographer. Anyone who knows what this means will also know the profusion of “stuff” the hobby brings with it. Lenses, filters, tripod, laptop, the list goes on. The amount of bulk and stuff is a real problem. If you're not careful, a holiday can become about your stuff, not about the holiday experiences themselves. For these reasons I moved entirely to Olympus micro-four/thirds a couple of years ago. 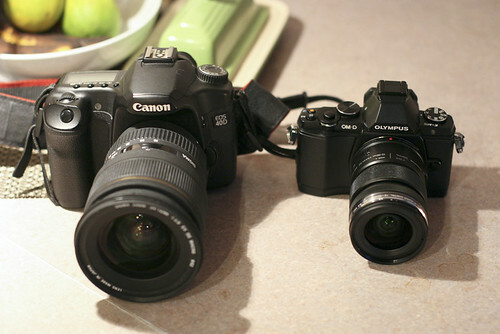 The system's cameras are smaller and the lenses dramatically so. The size and weight savings over the more traditional Canon/Nikon/Sony options are significant, image quality more than most of us need. Less stuff, less weight and bulk are things I value greatly. So, m4/3 is the format I've decided to go with. Having replaced a bulky camera system with a lighter option, the idea of replacing a bulky computer with a lighter iPad is also very appealing. There are other advantages to the iPad. The laptop brings too many distractions - I might be tempted to 'tinker' with things and, before long, half the day is spent on a screen. Holidays are about getting out and seeing places and experiencing things with the family, not sitting behind a computer. The iPad is more task-oriented, and it feels less “worky” and more in tune with the needs of a holiday. Fewer distractions and more space in the car. But could an iPad replace a computer for the comparatively high-end needs of a mobile photographer? An Apple SD Card Adapter allows you to import photos from your SD card, storing them on the iPad. For my summer vacation this year I left the computer at home and only used an iPad to store and manipulate images for two weeks. My workflow was to shoot during the day, upload to the iPad in the evening, perform any photo manipulation on the iPad and then upload my chosen images to Flickr. Using Flickr sorts the wheat from the chaff and also ensures my best images are backed-up to the cloud - so aren't subject to an opportune thief. If I'm staying somewhere without wifi, I just wait to do the flickr upload until I have a network. My 64gb iPad has sufficient storage space to hold all my photography for a 2 week holiday, so no big deal if I cant do an upload. On return from vacation, I plug the iPad into my computer and upload all images into my usual photo library, which happens to currently be Apple's Aperture. This workflow worked really well for me and I thoroughly recommend it. Ditch the computer whenever you're away from home and start using that iPad! It worked out really well for me, acting as both a cache for my photos and a mobile editing studio. I no longer feel a need to carry a laptop for photographic purposes at all. All cameras manipulate the raw data that comes of of their sensors to create a pleasing JPG image. 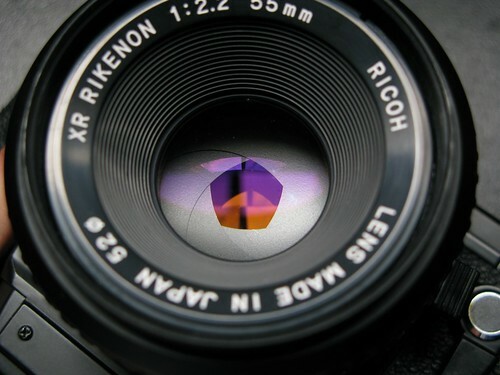 Many professional professionals prefer to use the RAW files their cameras produce, performing their own chosen manipulations rather than the defaults chosen by camera manufacturers. By editing the RAW file, you have more lattitude in changes to exposure and white balance, so this makes sense. However, modern camera JPG engines are sometimes very sophisticated and difficult to replicate manually. I use an Olympus camera and their JPG engine is generally considered to be amongst the very best. I often find that, after playing with a RAW file, I actually prefer the camera's JPG version. I personally think we're going to see much more of this, as the processing algorithms become more sophisticated and are applied selectively to parts of an image. I've developed a workflow of shooting in RAW+JPG mode, so I have both versions to choose from. For most of my images, I perform minor tweaks to the JPG version. This is quicker and easier in the field than playing with a RAW file, if I don't need the extra lattitude. It also means that things like Art Filters and Crop Mode, which are only applied to the JPG version by my camera, are retained. For specific images that warrant extra effort, I dip into the RAW file - but only doing so occasionally saves me lots of screen time and effort - something I like to avoid. 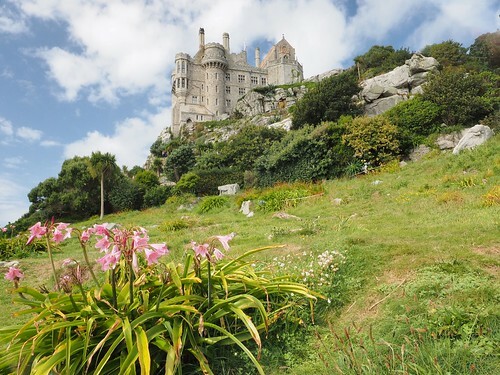 Here's an example of a camera JPG of St Michael's Mount. I'm not sure what I need to do to this that I need RAW for - the JPG seems perfectly good to me. Yes it does. I use Apple's Lightening adapter to import images from an SD Card - this imports both JPG and RAW images. The iPad only shows the JPG versions, or a blown-up embedded JPG in the RAW file if you don't shoot JPG+RAW. However, the RAW is there and you just need an app that can see it (most apps can't). I use PhotoGene to view and edit those RAW files on the iPad. I had considered using Adobe's Lightroom iPad app. However, bizarrely, it doesn't read RAW files. I say bizarrely, because Lightroom on a computer is known as a RAW editor. So, a bit strange that it's a JPG editor on the iPad. Maybe they have plans for version 2. PhotoGene is a pretty full-function RAW editor. It runs on both iPad and iPhone - I find it surprisingly good for mobile image processing. 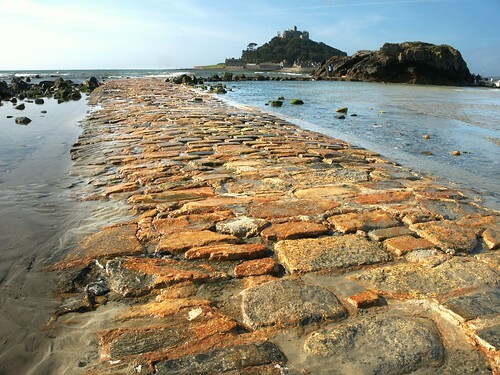 Here's a processed file on St Michael's Mount, generated from a RAW file on my iPad by PhotoGene. Whilst PhotoGene can't hope to match the sophistication of something like Lightroom, I found it more than adequate for my needs. It has all the usual exposure, levels, curves, highlights, shadows, etc adjustments you might be familiar with. Lightroom and it's computer-tethered compatriots are great. They provide a vast amount of flexibility. But if you're anything like me, it's sometimes too much flexibility; the options are daunting. And 'touching up' an on-screen image with a mouse I find to be very tricky. Hand-eye co-ordination for brushing-in exposure changes, for example, is something I've always struggled with. On the iPad you literally paint directly onto the image with your finger. If you want a darker sky, just swipe your finger over it. Both iPhoto and PhotoGene, two of the apps I have used, both have this feature. PhotoGene is much more sophisticated, with blur effects, intensity control, etc. But both allow quick swipes to make exposure, sharpening and saturation changes. I find this approach much more natural than using a mouse on a computer. I strongly suspect, that as the software gets more sophisticated, this is the future of photo re-touching. iPad and photo re-touching are a match made in heaven. So, although PhotoGene is not Lightroom, it has it's own unique advantages because it sits on an iPad with its touch screen. I used to think this. After all, these are play things, surely? If you really want to mess around with an image, then you can do that later in your chosen editing suite. However, I've come to believe that composing live and using the art filter as you are viewing a scene is much more creative. It means the image you create is an artistic representation of your reaction to it whilst you're viewing it, rather than a more mechanical approach created later on a computer. Artfully manipulating a photograph later-on means you have so many options they are daunting - most of the time I don't bother. However, doing it 'in the field' means you can create an image without spending hours in Photoshop (which I detest doing). It's faster, more creative and impulsive. It means I can create images I would never otherwise do. Here's an example using the 'Key Lime' effect in my Olympus camera. 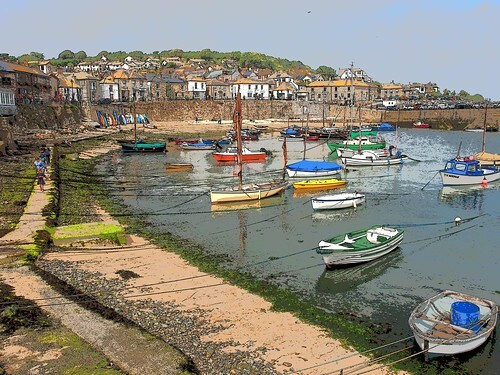 It's of Mousehole harbour in Cornwall. It was a bit of a grey day and the colours were quite washed-out in the normal image. Using the art filter enabled me to create a pleasing image on a day that, otherwise, was only resulting in rather average pictures. The logic to this rule is that if you over-expose, you end up with 'burn out' areas is the image - areas of white where no image data exists. When this happens, no amount of processing can recover the burnt-out sections of the image. However, a small amount of under-exposure can often be corrected as data still exists to be manipulated. The problem with this rule is that it doesn't recognise that white areas of an image can be used to creative effect. For example, this image was created using the Olympus camera's B&W Grainy Film art filter, with about 3 stops of over-exposure dialled in. It results in a silluoette effect. 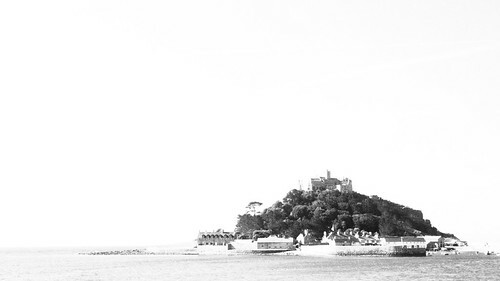 I've framed the composition to ensure large areas of white sky dominate. For me, I feel that burt-out areas of an image can be used to creative effect. Mastering the camera controls - shutter speed, aperture, ISO, etc. Mastering composition - understanding the impact of leading lines, the rule of thirds, etc. Becoming an artist - creating images that have an emotional impact. This last one, of being an artist, is the most difficult. The first two can be leart fairly easily and quickly. But they can lead to 'formulaic' images. I'm only just starting this journey, but it seems to me that great images have an artistic flair to them. So, the science is necessary, but ultimately a subsidiary consideration. You need to be able to control a camera, but not be bound by it. It might be that rules help you make good images, but I am beginning to learn that you need to break them in order to make great images. Breaking rules is so much more fun than following them! Great photographers know when to break all rules to get interesting and unique photos. I have a photography blog where I explained about Sunny 16 Rule. I think this will be helpful for the readers.